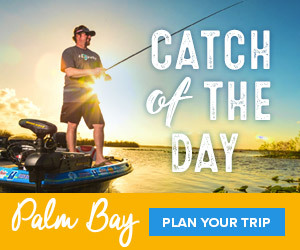 Bass Pro Shops and the Kevin VanDam (KVD) Foundation today announced plans to give one lucky winner the fishing trip of a lifetime alongside legendary pro angler Kevin VanDam as part of a fundraising campaign benefitting youth programs. VanDam, winner of 25 professional events, seven-time Angler of the Year recipient and four-time BASSMASTER Classic champion, will take the winner out for an unforgettable day on the water in Memphis and share his best tips and techniques. The fishing trip with VanDam is part of a grand prize package that also includes travel for two to Memphis, a two-night stay at Big Cypress Lodge – located inside Bass Pro Shops at the Pyramid in downtown Memphis – and a special gear package from KVD sponsors valued at more than $8,000.00. The opportunity is being offered through online fundraising platform Omaze.com with all proceeds benefitting the Kevin VanDam Foundation, formed to create more youth interest and involvement in conservation and the ethical use of natural resources. Angling fans can enter to win for as little as a $10 donation and contribute to the KVD Foundation by visiting Omaze.com/KVD. One donor will be randomly selected to win the prize. "We believe we can make a difference by giving more kids the chance to experience the outdoors and, more importantly, learn to appreciate and embrace conservation practices that will protect our precious natural resources," said VanDam. "Partnering with Bass Pro Shops is truly a blessing – it allows us to tell our story to an even larger audience and work with a well-respected company that makes conservation a priority. We thank them for their passionate support." Fans who visit Omaze.com/KVD and donate during the GEICO BASSMASTER Classic (March 24-26) using the promotional code "CLASSIC" are also eligible to receive a special prize package from KVD sponsors valued at $8,000.00. Donations are being accepted through the conclusion of the BASSMASTER Elite Series event at Ross Barnett (April 27-30). Campaign elements are being facilitated by Omaze, an online fundraising platform that makes giving fun and easy by offering once-in-a-lifetime experiences and exclusive merchandise to support nonprofits around the world. Bass Pro Shops is proudly supporting the effort as part of its mission to inspire everyone to enjoy, love and conserve the great outdoors. Under the visionary conservation leadership of founder/CEO Johnny Morris, Bass Pro Shops is known as a national leader in protecting habitat and introducing families and new audiences to the outdoors. The KVD Foundation was founded in 2014 and has already made several cash donations, funded scholarships and provided fishing equipment to worthy charity groups that best represent VanDam's values and passion for the outdoors. Benefitting charity groups include March of Dimes, St. Jude Children's Hospital, Bronson Children's Hospital, and the Michigan Department of Natural Resources Outdoor Adventure Center, amongst others.